Looking for a new school can be a daunting task for parents, so a visit can help them see the school in action, as well as giving a chance to meet students, teachers, and officials in the school community. Several international schools in the city are opening their doors again to prospective families who are looking for an affordable yet quality school for the next academic year. For more information about these schools, we’ve included their School Choice Guide profiles, as well as a curated list of everything that’s happening at their compounds. Take a look at the campus and meet Beijing International Bilingual Academy’s (BIBA) teachers, principals, parents, and students. Learn all about the school’s international and bilingual education, and how they help students in becoming internationally-minded bilingual ambassadors. Free admission but RSVP required. 8.30am-noon. 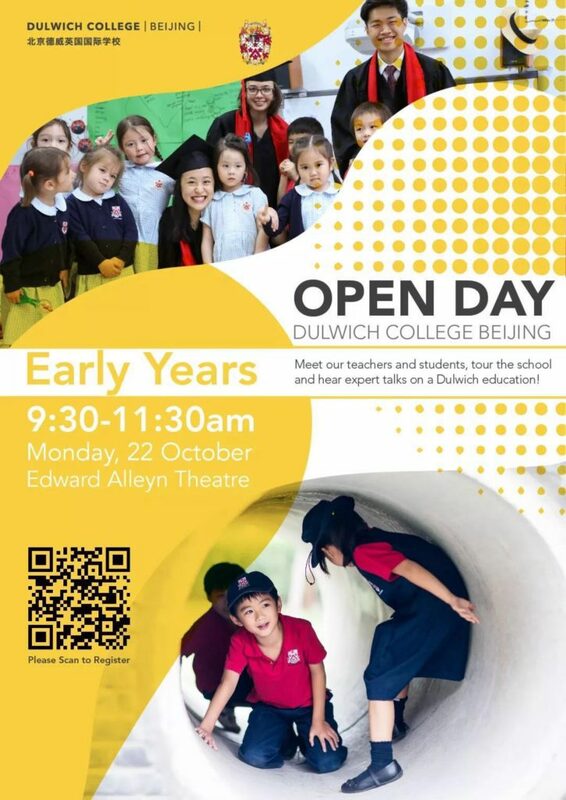 Dulwich College Beijing (DCB) invites prospective families with children aged 1 to 6 to visit the school’s newly constructed and refurbished Early Years facilities, and find out about the school’s philosophy. 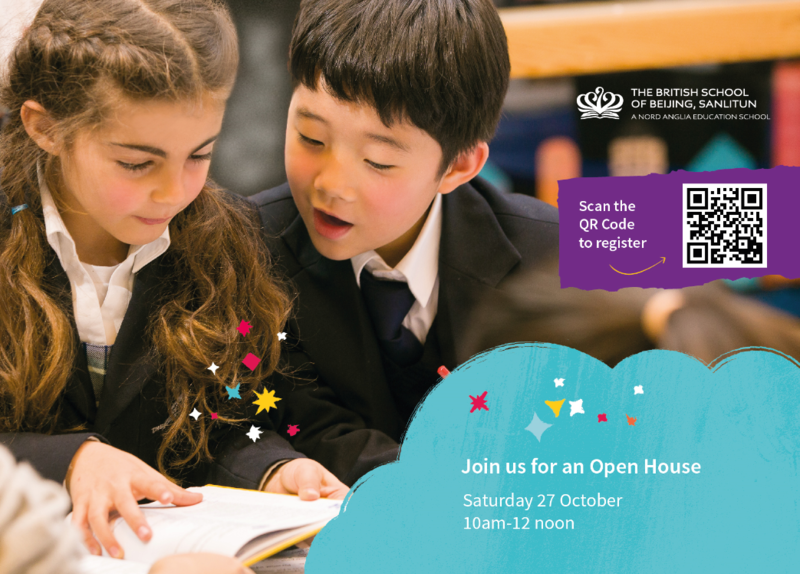 Visitors will be able to meet the school staff and hear about how the school teaches in both English and Mandarin, as well as discover how DCB children take responsibility, learn about the importance of good speaking and listening skills at a young age, and more. Kindly note that students wishing to enroll in the College must hold a foreign passport and a valid work (Z) dependent Chinese visa. Those who are unsure about eligibility to attend an international school should speak with the Admissions team in advance. Free but RSVP required (scan the QR code to register). 9.30-11.30am. Address (Legend Garden Campus): 89 Capital Airport Road, Shunyi District. 顺义区首 都机场路89号丽京花园7区. Get the opportunity to see the changes taking place across Yew Chung International School of Beijing at their open day and visit the school’s newly renovated Learning Communities. As well as school tours, academic staff will hold information sessions on YCIS Beijing’s approaches to teaching, designed to prepare students for the changes and challenges of their generation. Free. 9-11am. The British School of Beijing (BSB) Shunyi invites prospective parents to come and see the school in action. Visitors will be able to tour around the school’s Primary, German Primary, and Secondary classrooms and are invited to talk to the teachers and learn about the enhanced English National Curriculum and IB Diploma Programme. Free but RSVP required (register here). 9-11am. The British School of Beijing, Sanlitun (BSB Sanlitun) looks forward to welcoming prospective parents to their new Li Building for Early Years and Primary children. Principal John Brett, Head of Primary Phase Zoe Hubbard, and Head of Early Years Kirsten Harding will be present to discuss with families the curriculum that BSB Sanlitun employs, while the Admissions team give them a tour of the school. Children can enjoy the outdoor play area in the company of their parents. Light refreshments will be available for children and parents/carers. Note: Open to prospective parents, foreign passport holders only. Free but RSVP required. 10am-noon. Address: San and Li Building: 5 Xiliujie, Sanlitun Road, Chaoyang District. 朝阳区三里屯路西六街5号. 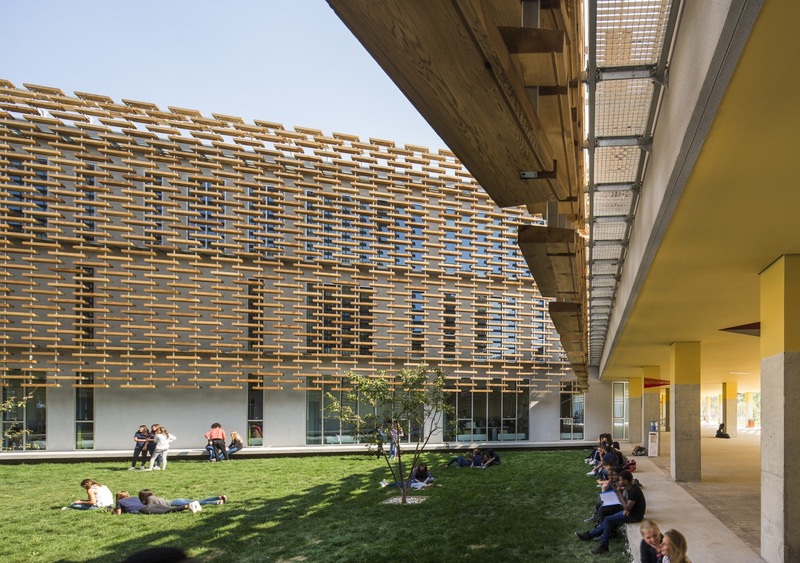 Western Academy of Beijing’s (WAB’s) Open House Series was designed specifically for parents interested in exploring their educational programs and community. Parents will have the chance to meet the teachers and administrators, enter classrooms, ask questions, and learn about the school’s International Baccalaureate PYP program. Free. 8.30am-noon. Prospective Early Years parents will have an opportunity to tour Harrow Beijing’s facilities, meet educators, and learn about the Harrow approach to pedagogy. Places are limited so please be sure to reserve a space as soon as possible. Free admission but RSVP required (register here). 8.30-11.30am. International School of Beijing (ISB) invites prospective parents and students of middle school (Grades 6-8) and high school (Grades 9-12) to come and learn about ISB’s curriculum and teaching practices. Meet Head of School Patrick Hurworth, learn more about their high school and college guidance programs, and hear first-hand accounts from their student panel. An in-depth presentation from their middle school principal will follow the high school program. Families will also have the opportunity to tour the campus following each divisional discussion. Free admission but RSVP required. 8.45am-noon. Adults. 3e International School invites parents to experience the school’s bilingual dual immersion Elementary program. They can tour the campus and get an overview of the Grades 1-6 bilingual program and curriculum. Free. 9.30-11.30am.